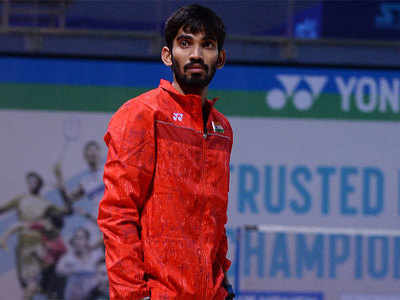 NEW DELHI: His Commonwealth Games debut spoiled by brain fever four years ago, Kidambi Srikanth, now the toast of the nation, is eyeing a maiden medal at the Gold Coast multi-sport extravaganza after a sensational run last season. Weeks before he was to make his debut at the Commonwealth Games in Glasgow, Srikanth was battling for life in an Intensive Care Unit. He was found unconscious on the bathroom floor of the Gopichand Academy and later diagnosed with brain fever. He ended up spending about a week in the ICU, giving a mighty scare to his near and dear ones. Cut to 2018, Srikanth is arguably one of the best sportspersons in the country, walking shoulder to shoulder with the who’s who of the sporting world. With four titles under his belt, Srikanth swept all the sports awards, including the prestigious Padma Shri and was the recipient of the Sportsperson of the Year Award at the third Mahindra Scorpio Times of India Sports Awards (TOISA) in February. Hardly surprising that he is considered a hot-favourite for the coveted gold medal at Gold Coast.